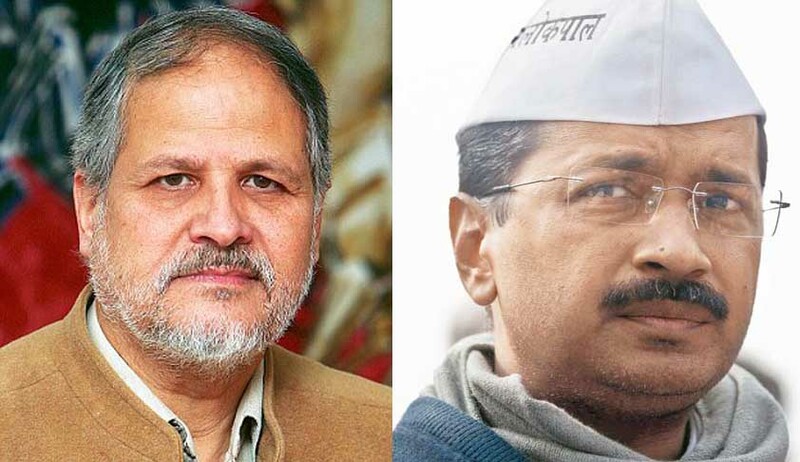 The AAP government today urged the Supreme Court to direct Lt Governor Najeeb Jung not to take any precipitative action on the basis of report of the Shunglu committee, appointed by him which was asked to examine over 400 files on wich decisions were taken by Kejriwal government, till the apex court adjudicated the AAP government Vs Centre row. Subramanium said that Shunglu committee has filed its report to the Lieutenant Governor and there are various apprehensions about the report. A stay should be granted on the Shunglu committee report that no precipitative action be taken on it, he said. Solicitor General Ranjit Kumar, appearing for Centre, said the report was filed yesterday and no one knows what is there in it. The bench, however, said all issues will be taken up on December 5. The committee was chaired by former CAG V K Shunglu with ex-chief election commissioner N Gopalaswami and ex-chief vigilance commissioner Pradeep Kumar as its members. On September 9 the court refused to stay the HC order despite fervent plea by a battery of senior lawyers who appeared for the Kejriwal government namely K K Venugopal, Gopal Subramaniam, Indira Jaising, P P Rao and Rajeev Dhavan. They argued that Delhi was facing a governance crisis ever since the high court ruled that the LG had primacy in administration. Subramanium had then also referred to Lieutenant-Governor Najeeb Jung constituting a three-member panel to examine over 400 files containing “infirmities and irregularities” in administrative decisions taken by the Aam Aadmi Party (AAP) government here. LG yesterday said he found irregularities in 10 files. Attorney General Mukul Rohatgi and Solicitor General Ranjit Kumar who appeared for Centre had urged the bench to dismiss the SLPs outright as the sworn affidavits along with it were signed by the Deputy CM while it should ideally be by Law Secretary. AG also said the position that Delhi was a Union Territory was clarified by a 9 judge bench of the SC in the famous NDMC case. AAP govt pleaded with justice Sikri to refer the SLPs to a constitution bench but the judges said that issue will be decided after a preliminary hearing. The HC had ruled that LG was the administrative head of the capital and was not bound by the aid and advice of the chief minister or council of ministers. The Kejriwal government contended HC verdict subverted the democratic governance structure put by a constitutional arrangement which recognises Delhi as a state with an elected assembly.